My recent visit to Bangkok was a lot of fun. My friends were so excited about the visit that they made a travel plan for the whole week and made all reservations too. Luckily nothing happened according to the plan made and that was the reason of enjoying the extempore Bangkok more. Our hotel was near the Asok station (BTS Skytrain) and this helped us in going wherever we wanted to in a more convenient way. We had a plan to do some shopping at the famous Siam Center so we took the Skytrain for the Siam station in the afternoon and reached there without being sucked in the traffic jams. 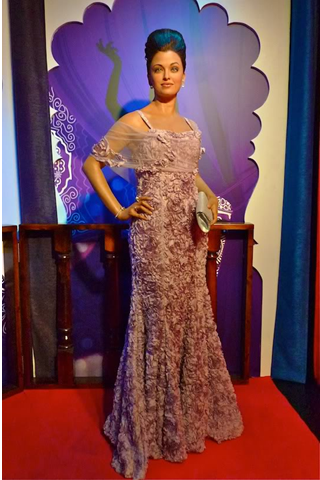 When we reached there, we found out that the Madame Tussauds Bangkok was on a walking distance from the shopping center, so we decided to avail the opportunity and went to the nearby counter for ticket bookings. After testing our bargaining skills we purchased tickets with a 200 baht discount on each ticket. Being proud of our negotiation expertise, we moved further towards the Siam Discovery center where the museum was located and guess what? A guy standing the line informed us that he bought online tickets with an amazing discount of 50%. You can easily guess what happened next! 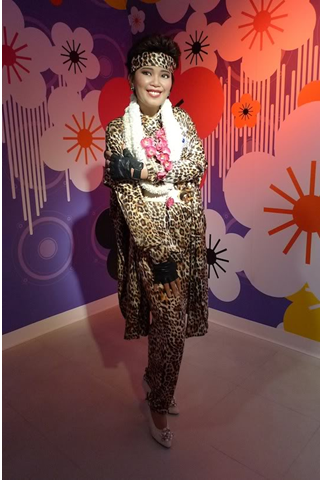 After a short trial of the friend who acted smart in accepting the 200 baht discount on the ticket, we went to the 6th floor where our bags got thoroughly checked and then we were finally allowed to enter the Madame Tussauds Bangkok. On entering we were given a voucher for professional photos with the wax figures and a guidance booklet which was of great help. On the entrance the Royal wax figures of the Thailand’s royalty were gracefully placed with respect. HRH Prince and the Princess elegance can be felt when you pass close to the figures. 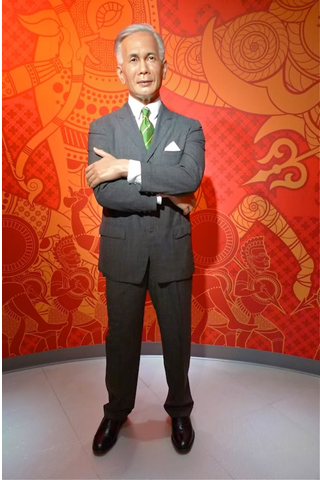 As we moved further, we came across the great leaders and political figures like Mr. Pibulsonggram, the Third prime minister of Thailand. 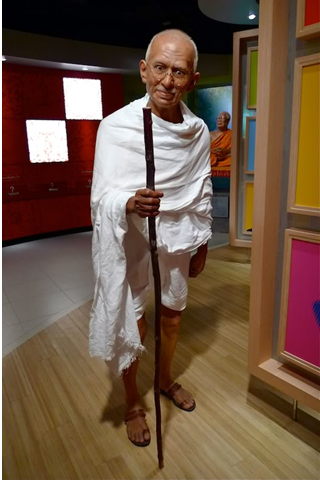 Next was the famous leader who holds great importance in the history of the subcontinent, Mahatma Gandhi from India. His clothing and unique style makes the identification easy. Moving around and looking at these great leaders who have bought revolutions in their times, is a wonderful feeling. 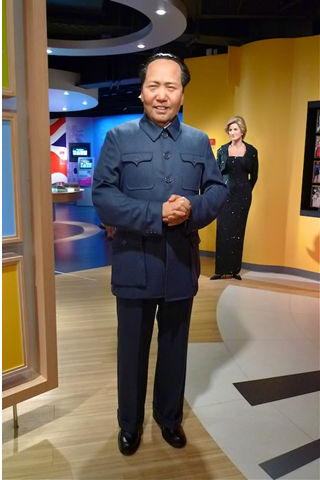 Chairman Mao as he was known commonly was the next wax figure we came across. He was the leader of the Chinese revolution. 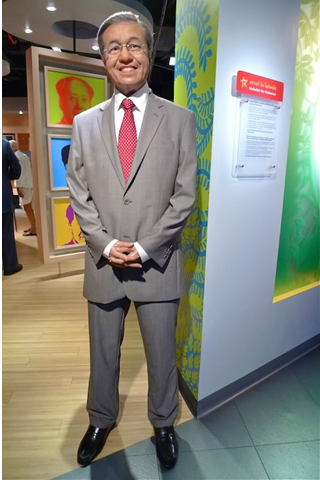 Next was a smiling bright face of the 4th Prime minister of Malaysia, Dr. M Mahathir bin Mohammad. Beauty and grace along with the most wonderful smile in the whole world, how can we forget her! Princess Diana. I took a few stunning pictures by her side and they turned out to be really good. 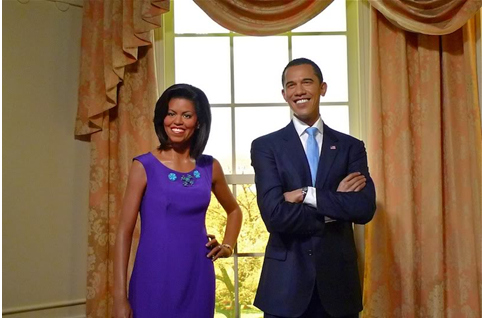 Along with the other powerful political leaders, stood the wax statue of the President of USA, Mr. Obama with his lovely wife. The succeeding section was comprised of the statues of the famous scientists, poets and artists. 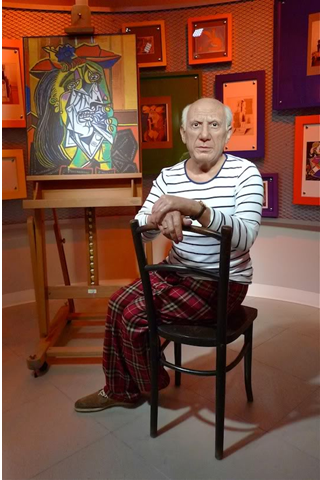 Pablo Picasso the great sculptor and painter was a delight to watch. I have heard a lot about him and read about his works in a lot of books and magazines. His work is an inspiration for thousands of artists around the globe. I guess the next picture needs no introduction. 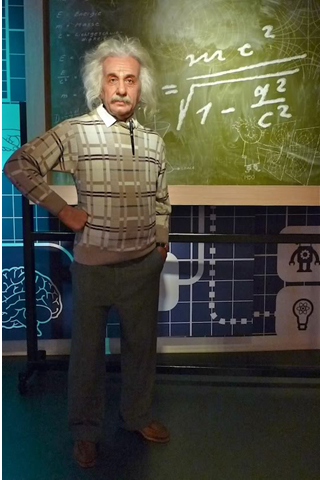 All of us know the genius of all times, Albert Einstein. 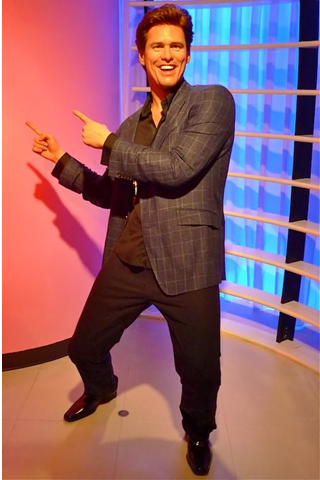 My friend got over exited when he saw the next few wax figures. The sports personalities were surrounded by a lot of young people, standing to take pictures with them. 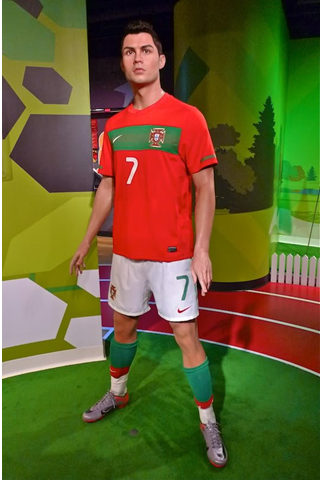 Ronaldo, the inspiration to young footballers stood in his sports attire and the footballer who is said to be most expensive. 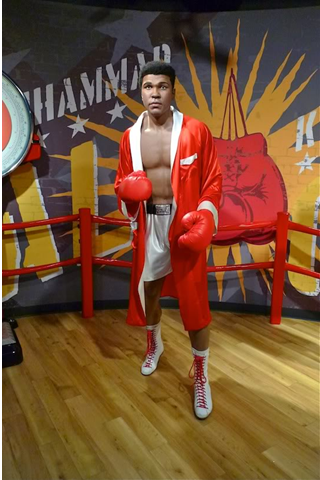 Famous Boxer, Muhammad Ali has made his carrier in boxing and later on proved to be a great social activist. He was my father’s favorite and I have seen a lot of his victorious fights with my father. 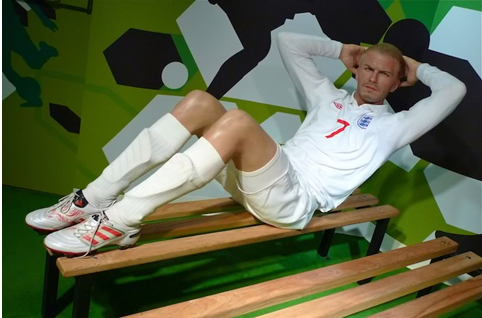 David Beckham, the youth icon and an English footballer who made his way to the top with his professional attitude and looks to die for. He is still very famous and has endorsed many renowned brands. Here came the category I was looking forward to, the music stars and singing sensations. 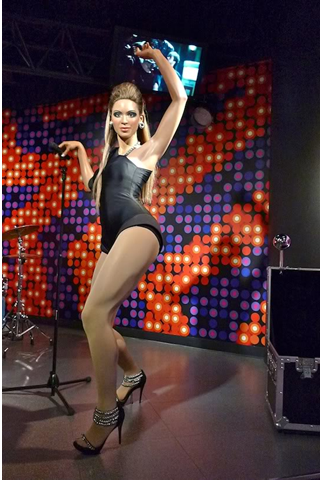 Starting with Beyonce who I think is much better in reality. The pose given to her could have been better. That’s what I think! The best part of the museum is the set of information provided on every step. The next statue I came across was of Pumpuang Duangjan, who is a Thailand’s superstar but I was not aware of it until I read about her and also listened to the songs available on the headphone for the interested people. 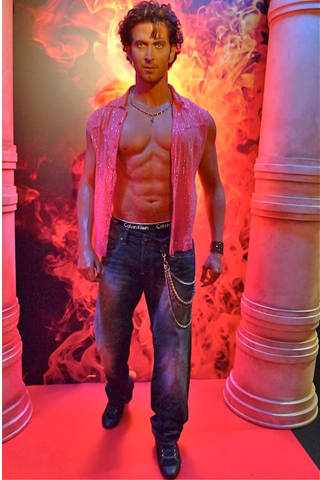 The next wax figure made me upset, I was still not ready to believe that he was not amongst us now. 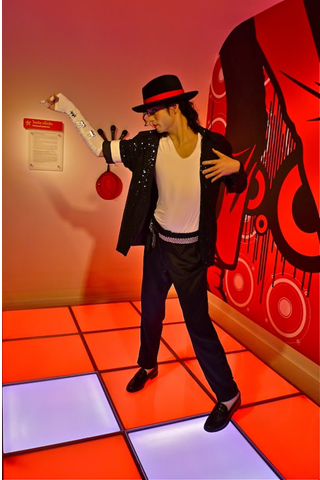 Michel Jackson needs no introduction at all; he was a pop sensation and a music diva. 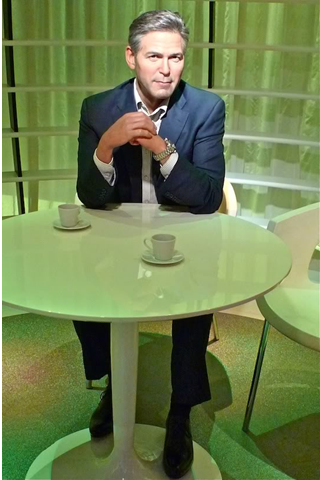 Madame Tussauds has its branches in the main cities around the world. It has become one of the most famous attractions for the tourist. 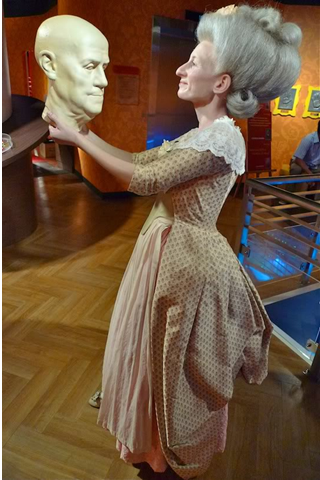 The next wax sculpture was of the pioneer herself. Marie Tussaud, the great sculpture and a French artist who was a Swiss national and the founder of the first Madame Tussauds museum London. 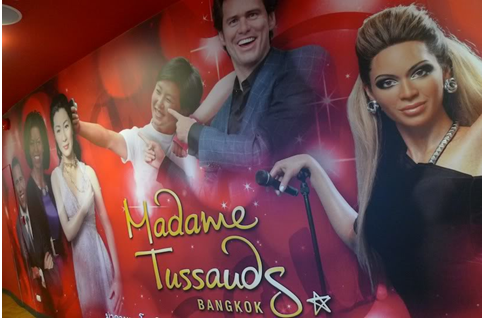 When we visited the Madame Tussauds Bangkok, there was a rush of school children who came from Malaysia to visit the place. This made clicking the pictures a little difficult as you have to pass the rush and take turns. But still all our friends managed to take some memorable pictures with the favorite stars and celebrities. Britney Spears in the gorgeous avatar was the highlight of this section. She looked amazingly real to me! Here comes Madonna, the famous American all rounder. Let it be singing, lyricist, dancing, acting and a successful entrepreneur. Lady Gaga standing on high heels and still coming till my shoulders was shockingly surprising for me. I did not have an idea that she is quite short in real! 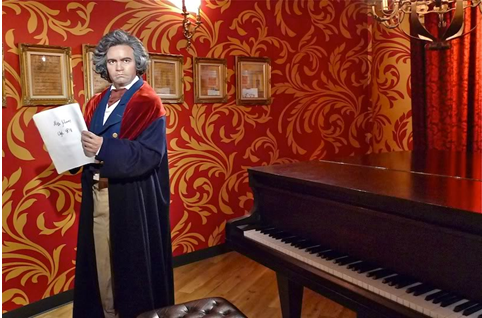 I had no idea that the next wax figure is of the German composer from the 18th century. His name was Ludwig van Beethoven and the inspirational part of the story is that even after experiencing a complete hearing disability in his forties, he composed beautiful music. The next section was the favorite of almost all the people visiting the place, famous television and movie stars were exhibited in this area. 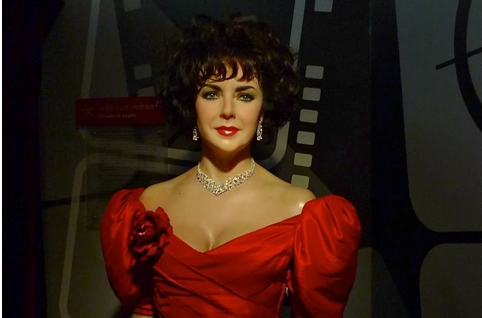 The wax figure of Elizabeth Taylor in her red dress was stunning and it was difficult to take your eyes off her. She looked dazzling! 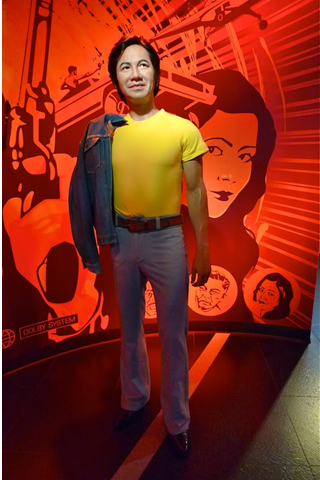 The wax figure of Sombat Metanee, a well known Thai actor was displayed next. Anthony Hopkins is said to be one of the greatest performers of his times and is counted as the living legend who is a receiver of international acclamation for his amazing roles. His pose and his eyes were so real that while taking the picture I felt he is moving forward. 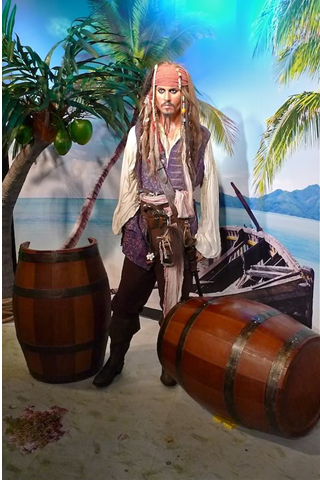 The Golden Globe Award winner along with the receiver of Screen Actors Guild Award as the Best Actor stands the amazing Johnny Depp in his character attire from the Pirates of the Carribean. His acting skills and amazing looks have been the formula of his continued success. Here comes the Spiderman! 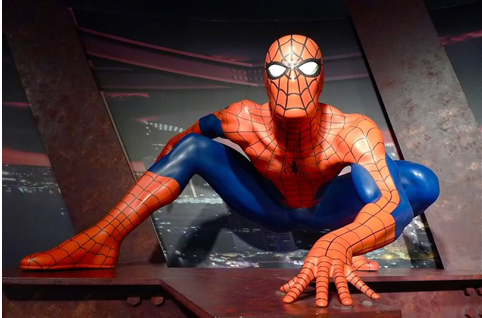 Now I wonder why just Spiderman and no other super heroes! 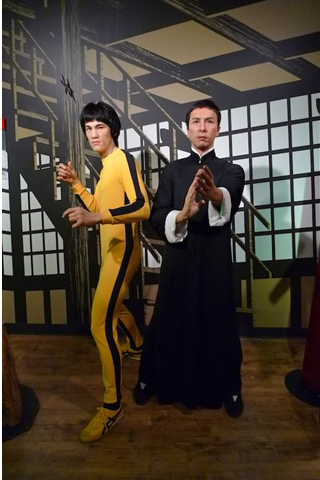 Bruce Lee along with Donnie Yen the world’s two most courageous and magnificent martial arts actors from Hong Kong. Standing in their signature poses and reminding us of the era when martial arts movies were amongst the most happening things in town. 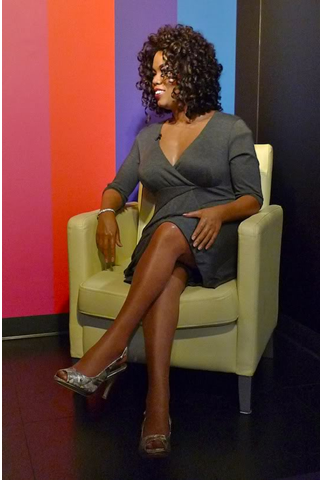 Oprah Winfrey with her lively personality and composed look was seated on a couch and posed so real that you had a doubt if you are watching her live, hosting a TV show. 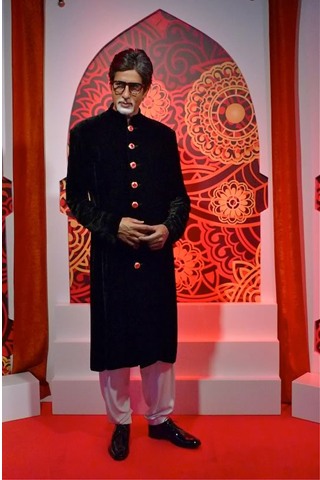 Next few wax figures were from India, the famous actor Amitabh Bachan who is a legendry actor and is immensely talented. His acting, dancing and hosting is remarkable. He even sang a few songs for the movies and is a very important figure in India. Hrithik Roshan the dashing superstar of India became extremely popular from his debut movie. The graph of his success and fame is still on the rising trend and the young crowd is crazy about his looks and style. Kareena Kapoor, being a star kid had an edge in the industry when she entered the world of cinema. But soon she proved her talent and became the top actress of the Hindi movies and still rules the hearts of millions. Gorgeous Aishwarya Rai in the traditional Indian Sari has represented her country in the whole world. Winning the title of Miss India she became famous for her beautiful eyes and then the Miss World pageant title made her known all over the world. This Indian beauty had made her way to the Hollywood movies too and proved her talent. 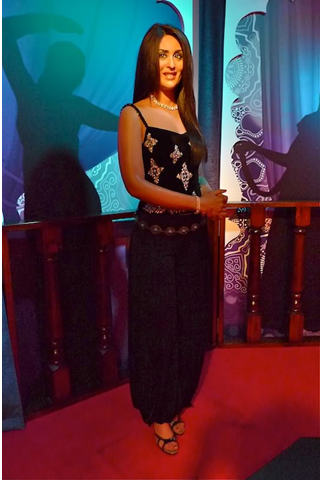 The Titanic heroine, Kate Winslet’s wax figure in red dress was looking a little different from her actual self. I was unable to guess the reason; maybe she has lost a lot of weight after the statue was made. The king of comedy, Jim Carrey was next. Clicking a picture with him was an honor. 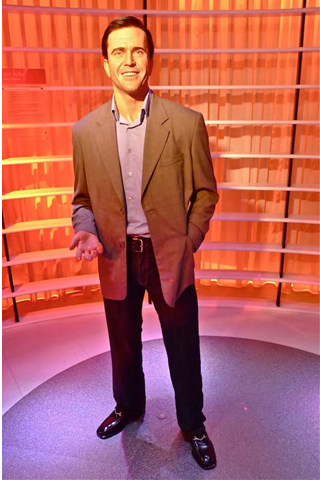 George Clooney, the American actor who has a huge fan following for his super hit movies. His prolong list of awards in different categories shows his popularity as an actor, producer, director and screenwriter. Mel Gibson was amongst the few actors, who received favorable remarks from the film critics. Along with the successful career in Hollywood as an actor, he produced and directed some great movies but his life and profession got surrounded by several controversies and allegations. 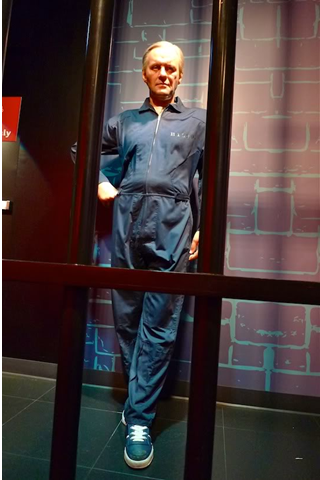 We were moving forward with excitement and realized that the fun was about to end; only a few more wax figures left to see. But what an amazing closing stage it was! 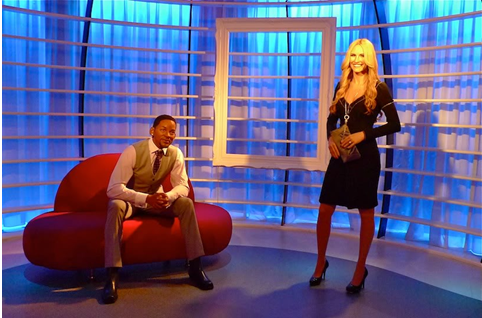 Will Smith and Julia Robert’s wax figures were placed in front of a marvelous light changing background. 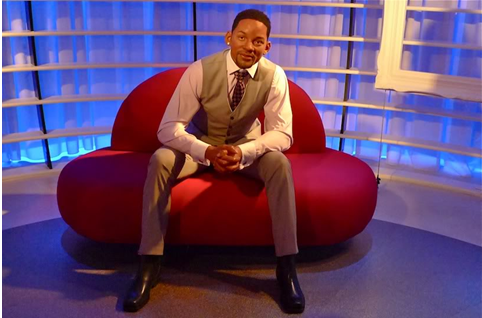 I am a huge fan of both of these celebrities so I tried my best to take pictures by them with all changed backgrounds. 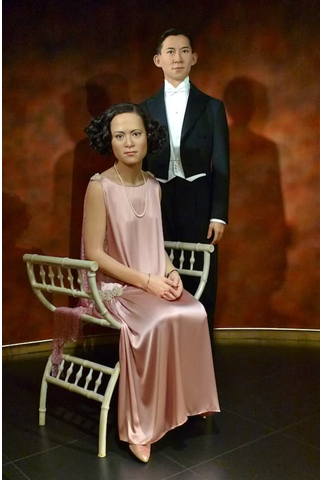 The last two wax statues were of the most famous actors of the industry. Angelina Jolie and Brad Pitt! Wow, this lady is so gorgeous and this gentleman has a huge female fan following and may be for this reason their statues can be found in all Madame Tussauds museums. They dont have kate and william?